Military fitness requires balancing training to succeed on the test (your twice-yearly fitness check) and the test (combat deployments). Pushups are critical to career progression, given their central role in physical fitness tests for professional evaluations and for advanced training opportunities, such as like Ranger School. However, they unfairly favor smaller service members, according to research from the University of Dayton. While the Army is exploring tests without pushups — the Occupational Physical Assessment Test’s seated power throw, for instance, or the Soldier Readiness Test’s sandbag drills — troops across services must hurdle the pushup barrier to remain competitive. This can be achieved through programs that focus on strength, which is not only tied to increased pushup scores but to preventing training injuries, according to research from Military Medicine. This article charts a path to help service members break through training plateaus, prevent injury and improve job performance by building a strength foundation. While many training styles can build strength — gymnastics, for example — I’m focusing on traditional barbell strength training. Evidence that common pushup programs can fail even the most motivated service members comes from the volume of Ranger candidates who fail the school’s pushup requirement. 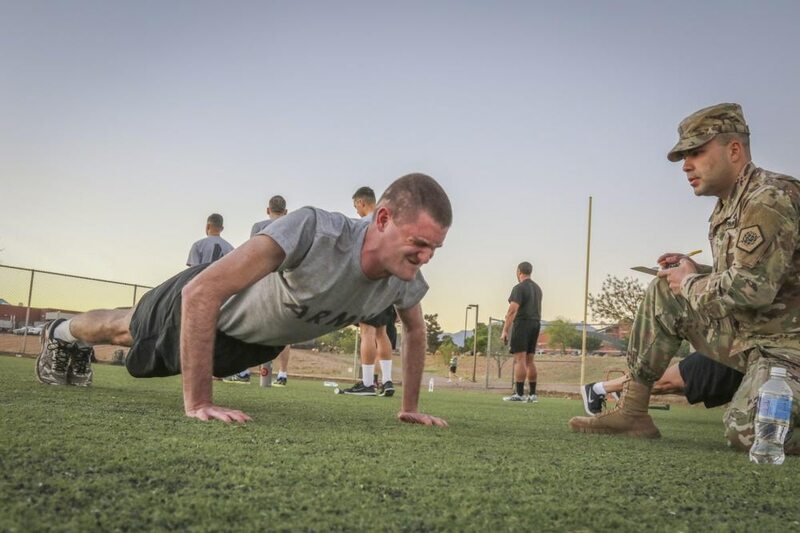 Historically, the Ranger Physical Assessment is the biggest challenge for candidates trying to make it through Ranger School, and more candidates fail pushup than situps, chinups or the 5-mile run. So, why can’t these soldiers meet the standard, and why can’t other service members up their numbers? A common shortcoming is overemphasizing training volume instead of optimizing program design. Traditional models assume that simply doing more pushups will most effectively translate into higher pushup scores, so sessions often include hundreds of pushup repetitions. This approach causes injuries at least 1.5 times the rate of training styles based on exercise science strategies, like gradual overload (strength development), according to research from the Journal of Strength and Conditioning. Not only do well-developed strength training programs decrease injury rates, but systems using barbells, dumbbells, resistance bands and medicine balls outperform the Army’s Physical Readiness Training system, according to Military Medicine research. This training style not only increases pushup scores more than traditional training or PRT methods, it also improves real-world performance, given strength’s central role in tactical operations — a link reinforced by recent findings from a blue-ribbon panel assembled by the National Strength and Conditioning Association on military physical readiness. Strength development requires high-intensity sets of generally less than 10 repetitions, so many pushup workouts with high-repetition sets (often more than 20) fail to build meaningful amounts of strength. A limiting factor in relying on pushups is that resistance is fixed at less than the service member’s weight, since a portion of that is balanced on their feet during repetitions. This fixed resistance leads to a glass ceiling for increasing pushups, as attempts to move the needle by simply doing more reps leads to decreased returns and injury. A good first goal in building a strength foundation is to bench-press 1.5 times your body weight — a common metric of intermediate strength from the powerlifting community. A 195-pound service member who can bench 295 pounds will resist injury and perform many of his daily duties better than a 195-pounder who can bench only his body weight, and the stronger service member will be able to up his pushup count faster. All these benefits can be realized by once-a-week workouts targeting upper-body strength. After building a strength base, we can extend time under tension to move closer to fitness-test requirements. Strength endurance training can either be combined with absolute strength training or targeted in separate sessions later in the training week. Including dips during this phase is better than individual pushups, as they offer higher intensity levels than pushups but less than body-weight bench presses. They can be incorporated using a variety of tools, such as executing them on gymnastic rings or with attached weights. Goals for strength endurance include 10 body-weight bench-press repetitions and 30 reps of parallel bar dips. 1. Warm up (progress through foam rolling, TRX shoulder stability drills, and medicine ball drills for muscular activation). 2. Five alternating sets of heavy bench press (3-5 repetitions at 85 percent to 95 percent of your one-rep max weight) followed immediately by 3-5 reps of plyometric pushups — like regular pushups, but push hard enough that your hands leave the floor. Rest 90 seconds between sets. 3. Five alternating sets of barbell presses (5 reps at 70 percent to 85 percent of your one-rep max weight) and weighted pullups (8-10 reps, 70-85 percent one-rep max), resting 90 seconds between sets. 4. Four alternating sets of weighted pushups (12-15 reps at maximal weight) and dumbbell bent-over rows (8-12 reps, 70-85 percent max), resting 60 seconds between sets. 5. Twelve rounds of kettlebell snatches (20 percent of your body weight, 30 seconds on, 30 seconds off, alternate arms to get six sets per side). 1. Warm up (same as above). 2. Four alternating sets of body-weight dips and chin-ups, going for maximum reps of each and resting 60 seconds between drills. 3. Four alternating sets of maximal metronome pushups and band pull-aparts (15 reps). This requires downloading the audio recording of the metronome test and then matching your execution to its rhythm during execution. 4. One set, as many repetitions as possible in five minutes, of kettlebell Turkish get-ups at 20 percent of your body weight. This drill requires keeping your arm extended while supporting a kettlebell and going from a supine position to standing, keeping it extended the entire time, then lowering back down to supine for a single repetition. 5. Ten sets of battling ropes (20 seconds work, 10 seconds rest) or four rounds of boxing drills (2 minutes work, 1 minute rest). Capt. 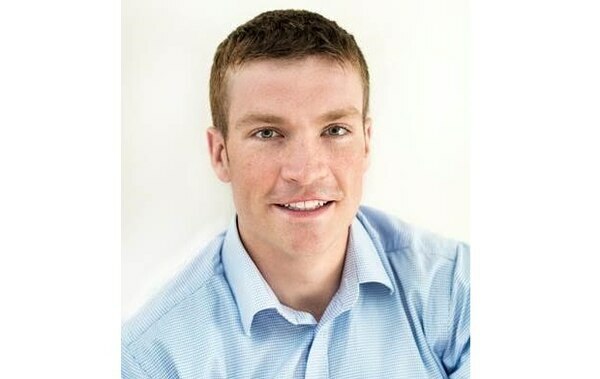 James Long is an infantry officer assigned to “No Slack” 2nd Battalion, 327th Infantry Regiment, 1st Brigade, 101st Airborne Division, out of Fort Campbell, Kentucky. A CrossFit Level 1 Trainer, Ranger School graduate and Best Ranger Competitor, he graduated from the U.S. Military Academy in 2013, where he served as strength and conditioning coach for both the boxing and judo teams. Contact him at jay@tacticalpts.com.